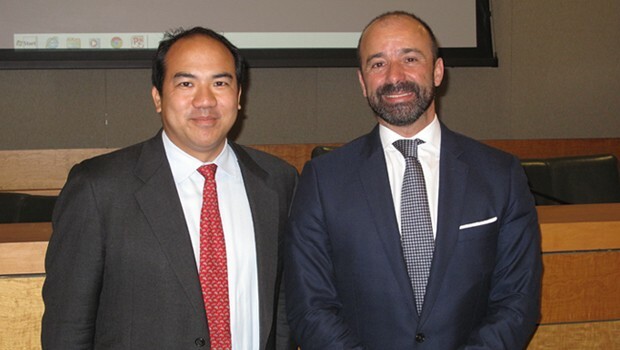 On Monday, April 21, 2014, Miguel de Serpa Soares, Under-Secretary-General for Legal Affairs and United Nations Legal Counsel, delivered the third annual Philip J. Shapiro Endowed International Visiting Scholar Lecture. His lecture, titled “Legal Aspects of Modern United Nations Peacekeeping,” discussed the role of the Office of Legal Affairs in the United Nations, the evolution of U.N. peacekeeping and some current examples of these efforts. A full transcript of his lecture is available on the United Nations website. Serpa Soares was appointed the Under-Secretary-General for Legal Affairs and United Nations Legal Counsel in September 2013. 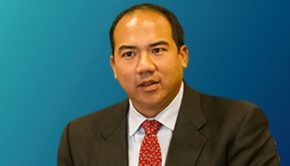 He oversees the Office of Legal Affairs, the overall objective of which is to provide a unified central legal service for the United Nations. The Office of Legal Affairs employs approximately 200 staff of more than 60 nationalities. 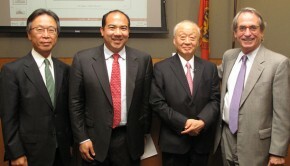 The Philip J. Shapiro Endowed International Visiting Scholars Program was established in 2012 with a gift from Philip J. Shapiro ’78, president and CEO of Liberty Maritime Corporation and a member of the Dean’s Advisory Board. The program annually brings legal scholars, government officials and prominent members of the international legal and business communities to the Maurice A. Deane School of Law. Visitors interact with faculty and students to discuss timely issues in the fields of international and comparative law. A public lecture for the Hofstra Law community is part of each visitor’s stay.